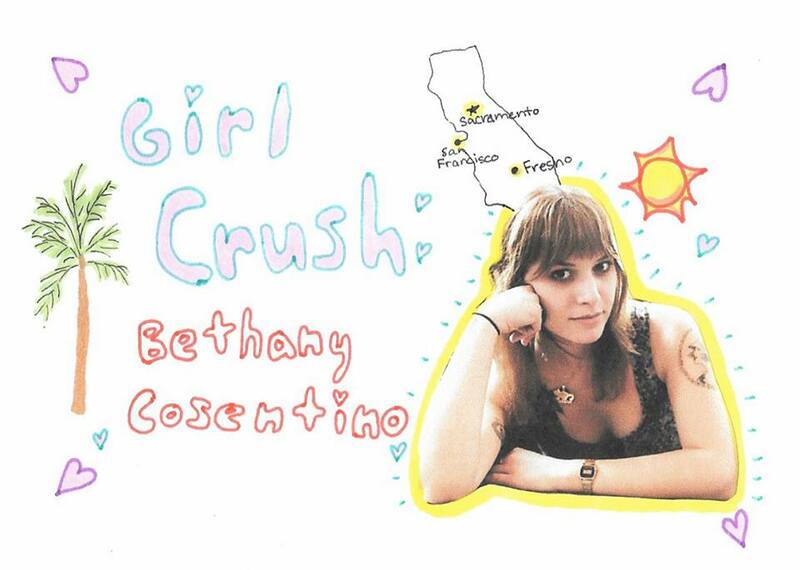 The front woman for the indie rock band Best Coast, Bethany has literally never disappointed me. She has played a huge role in my annoying, adolescent years. I mean, who else has written songs that can so eloquently say EXACTLY what you want someone to say? By that I mean, her lyrics, “I wish he was my boyfriend”, have probably applied to everyone’s life in some way at some point. Bethany has consistently left me satisfied with her lyrics since my brother showed me Best Coast’s debut album, Crazy for You (thanks, Ed). I had the privilege of seeing Best Coast a couple summers ago and it was probably the coolest experience of my life. Not only does Bethany have an amazing stage presence, she also knows how to handle a rowdy crowd. From the stage, she was able to break up a fight with her beautiful, angelic voice. Okay, maybe I’m exaggerating, but she is just so flawless. She also blew me away with her performance. As many Bethany fans know, she has a slight obsession with Fleetwood Mac, which is so wonderful because Best Coast covered Storms. I hoped and prayed they would perform it at the concert, and they did. During the song, Bethany stopped singing- not because she messed up, but because she was crying. I’m pretty sure I was crying too, she has that effect on me. But she is so wonderful and so human and was so overcome with emotions that the song literally brought her to tears. It was so beautiful and I will never forget that concert. Cosentino began writing music at the age of 15 and was strongly influenced by Bob Dylan, Weezer and Blink-182- which is obvious if you listen to any Best Coast song. She combines angsty lyrics with upbeat riffs. Bethany has strayed from letting the media dictate her life- just one look at her twitter shows that she will do whatever she wants, eat whatever she wants, wear whatever she wants, and do her hair however she wants- which is REALLY good because that middle part looks so good on her. Bethany has continuously inspired me to stay true to what’s important to me. She knows how to balance the angst and has perfected the art of soft grunge. I can guarantee that there is a Best Coast song for ANY situation you are currently dealing with. Oh, and she has a cat, named Snacks. And her cat has a twitter. If that didn’t make her your girl crush, I really don’t know what will. Great, thoughtful, and well written!